Welcome home to 409 Bayfield Dr. (a custom built home) located in Bloomingdale Estates. 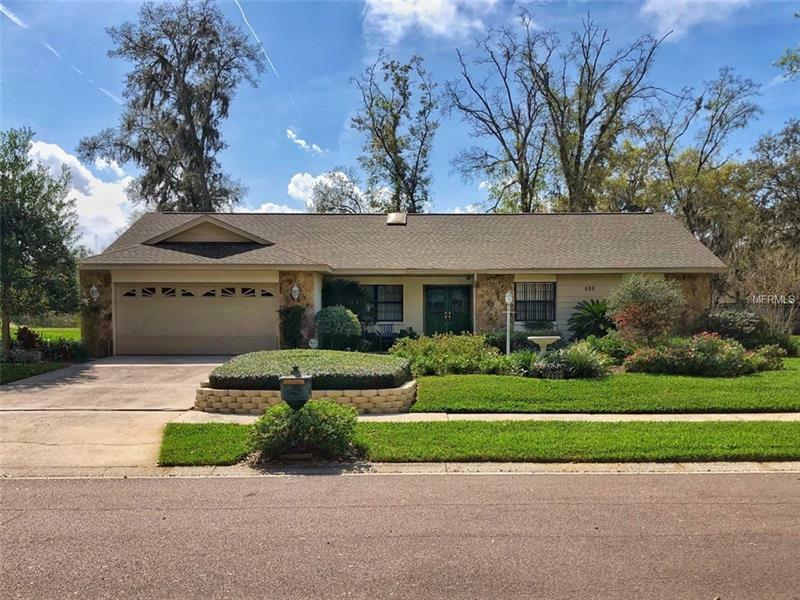 You will be wowed by the incredible curb appeal in this well-maintained neighborhood. There is a reason the seller received a yard of the month award for this 1/3 acre lot. Inside you will find original wood parquet floors that shine as if nearly new. This awesome 4/2 home is light-filled and spacious at over 2300 sf. and features a split bedroom plan, a formal living room and dining room. Spacious family room with a stone fireplace (wood burning) centered between built in bookshelves. The kitchen is open to the breakfast room and family room and features a convenient pass-through window to the lanai. The counters have ample space to prep for your biggest family gathering. The large screened lanai looks out on park-like landscaping. Two sets of fully retracting sliding glass doors link the lanai to both the family room and formal living room, a great flow for entertaining, seamlessly connecting the inside and outside living spaces. The generous master bedroom has a large walk-in closet and en suite bath. Two of the bedrooms feature built-in shelves which would be great for a home office or a child to display their toys or trophies. This gently lived in home has been well cared for over the years. The roof is approx. 10 years. R-30 Insulation. The AC is approx. 4 years. In ground sprinkler system. Optional HOA. No CDD. Schools: Cimino, Burns, Bloomingdale.